Holy sheet. The Yankees vs Twins was certainly the right way to start the 2017 postseason. I was literally and figuratively at the edge of my seat the entire time. No joke, one time I put my hands up to celebrate and I actually slipped off my chair. But, as Mr. Walker would say, I digress. 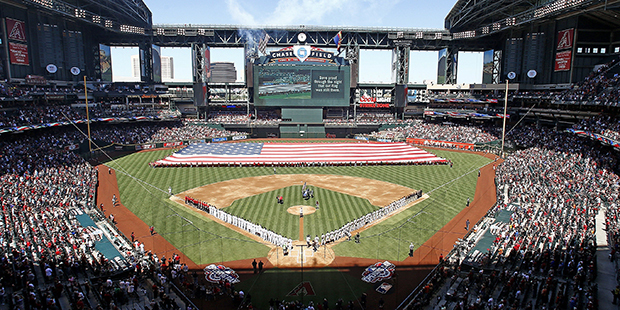 Fortunately for us baseball fans, this was only the beginning…there is another game tonight between two up-and-coming teams, the Arizona Diamondbacks and the Colorado Rockies. With that said, the Rockies are the owners of two NL MVP candidates in Charlie Blackmon (.331, 37 HR, 104 RBI) and Nolan Arenado (.309, 37 HR, 130 RBI). The Diamondbacks possess one of their own in Paul Goldschmidt (.297, 36 HR, 120 RBI, .404 OBP), as well as second-half stud J.D. Martinez who is batting .4000000 with 400 home runs in the second half since being traded from the Tigers (it’s a hyperbole) and cleanup hitter Jake Lamb who blasted 30 HR this season. SP Zach Grienke, ARI: This $200 million dollar man is also the man that left LA because he doesn’t like attention. Well, there is no bigger spotlight than being the starter in a win-or-go-home game. I project Grienke to disappoint against this hefty Rockies lineup, but I would really like to see him prove me wrong. 1B Jake Lamb, ARI: With Gray likely to avoid the strikezone against Goldschmidt and Martinez, expect Lamb to be forced to step up big time in tonight’s game. He will hit with RISP, but if he can come up clutch is on him. OF Carlos Gonzalez, COL: This poor man has seen the good Rockies and the really, REALLY bad Rockies. He has had a well below-par season (.262 BA and 16 HR), but the former Face-of-the-Franchise player has a chance to redeem himself in the playoffs. RP Pat Neshek, COL: As we saw last night, the bullpen is everything in the postseason. If Gray can give a quality start, Pat Neshek will be given a chance to bridge to elite closer Greg Holland. The submariner had a fantastic season (1.59 ERA in 62.1 innings), but since I expect the Rockies to have the lead going into the late innings, Neshek’s performance will prove to be pivotal in keeping the Diamondbacks in check. SP Jon Gray, COL: Roles will be reversed tonight. Grienke will implode, and Gray will shine on the road. 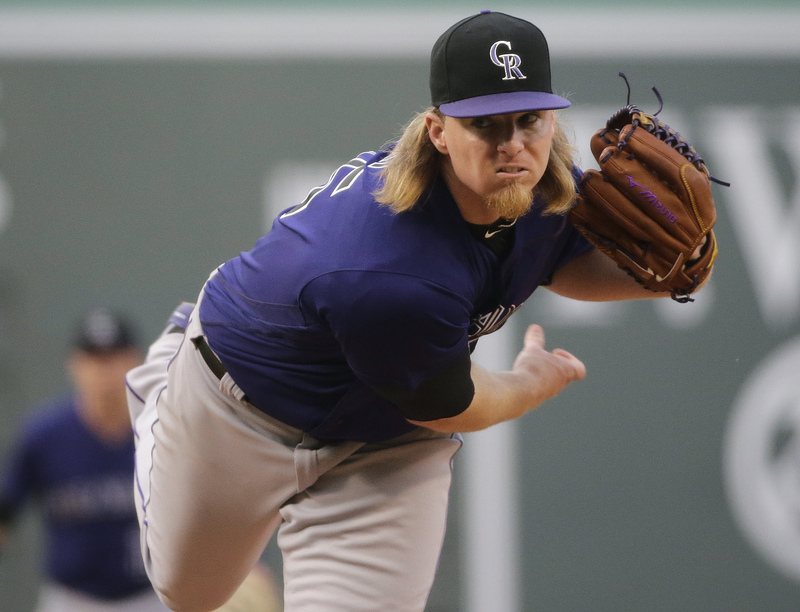 I expect him to give a great performance and keep the Rockies in the game, performing as the confident, young ace they need him to be. After Luis Severino’s performance last night, Gray will likely take a little longer in the bullpen to make sure he is calm, his stuff is sharp, and he can take a nice, deep breath before game-time. He will not be throwing a perfect game or anything, he will most certainly give up multiple runs. But he will get out of multiple jams and limit the damage, while the Rockies offense takes care of the rest. 7-5 Rockies: Although I’d like to see the Diamondbacks advance because I think they are the more exciting team, the Rockies have the moving parts to pull this game out. Grienke will give up 4 runs, and the Diamondbacks bullpen will not be able to stop the bleeding. I expect Blackmon to be stellar, and D.J. LeMahieu to deliver some big hits in the middle innings. Arenado will likely be silenced, but its for that reason that I hope Car-Go will be able to step up in a huge spot and remind Rockies fans why he stuck around for all these years. J.D. Martinez will continue his hot streak but the Diamondbacks lineup will not have enough firepower to keep up. The underdog Rockies win and advance to play the Dodgers.